Doctors Eyecare is a full-service optometry clinic based in Sherwood Park. It functions as a sister business to Lendrum Eyecare, and is owned and operated by the same group of doctors. 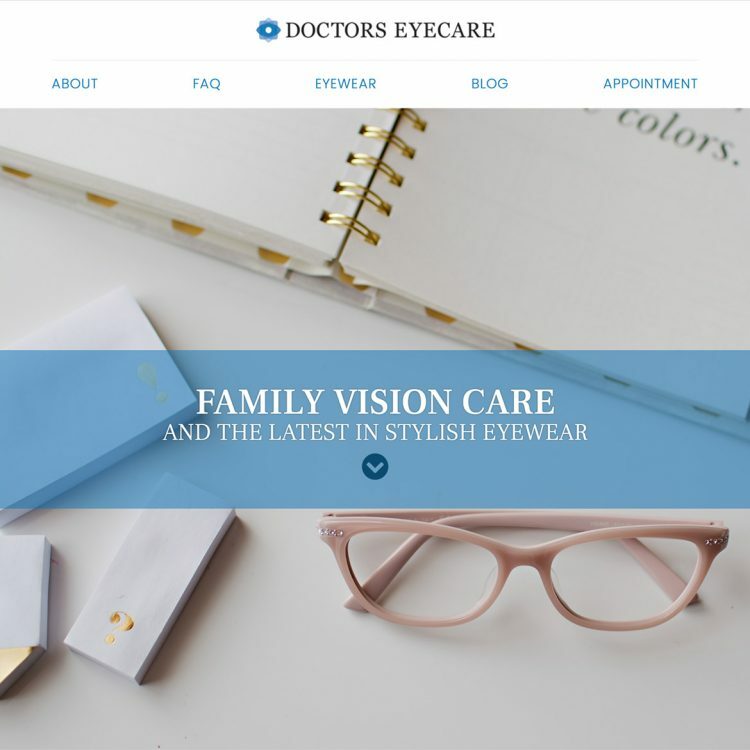 They provide comprehensive family vision care (including status as a Care 1 integrated clinic), as well as optical services and a selection of the latest in stylish and fashion-forward eyewear. After acquiring the Doctors Eyecare clinic from its previous owner, the Lendrum Eyecare team wanted to transition its website away from a a pre-built template provided by a third-party hosting service and convert it into a custom WordPress website based on the same layout and presentation as Lendrum Eyecare, only with a different colour scheme and a few minor alterations, so that all of their locations will have a uniform look and feel.